The fifteen towns added to the Northern Litchfield County Council in 1929 more than doubled the potential Boy Scouts who might attend Camp Workcoeman. Of course, the council would have to form troops and enroll Scouts before any increase in camp attendance. As in 1927, the camp program was a large part of the recruiting effort. The council heavily promoted the 1930 season, focusing on the new aspects of the camp program. Most of these new programs started off with donations from local businesses. With a leather craft kit and metalworking tools, Workcoeman offered a greatly expanded handicraft program. Two bows, twelve arrows, and one target amounted to a complete archery inventory. However, most of the camp program remained unchanged, consisting of a mix of aquatics, sports, and scoutcraft. A new variation in the aquatics program was water polo, which the Scouts played during four o'clock free swim. The number of Scouts in camp, more than forty, was a bit large to continue the tradition of a weekly overnight trek, but the entire camp still day-hiked out to a local farm for lunch each Thursday. Scouts from Canaan, Cornwall, Litchfield, Torrington, Warren, and even New York helped to make 1930 another record-breaking season. However, attendance was not quite as high as planned, and a large and unexpected outlay contributed to a five hundred dollar deficit for the season. In the fall of 1929, the spring used as a drinking water supply for the past six seasons failed a test. In order to get a new water supply, the council would have to drill a well, but the logging road leading to camp was much too rough to bring in the drilling equipment. By the time enough fill was hauled to West Hill and the new road graded, winter set in. Fredrick Baldwin paid the four hundred dollars to build the road, since it would help sell his remaining lots along the west shore of the lake. In January, the council conducted its annual fund drive with an addition $1,000 to pay for the well; however, the drive came up short. The council continued quietly soliciting donations through the spring, but finally contracted to drill the well in June, with Fredrick Baldwin covering the shortfall. As part of this informal arrangement, people along the lake could get water at the camp well for their summer cottages. An additional fund drive in the fall balanced the Northern Litchfield County Council’s books, but the difficulty of that year made the recession very obvious, which would limit the growth of the camp for the next several years. 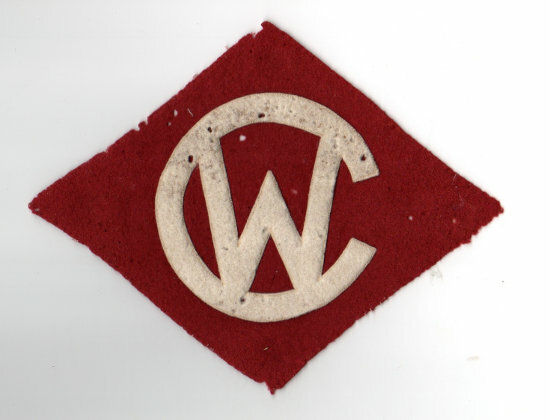 The image below shows the camp emblem used during the 1930s. These earned patches were called letters, and held the dual requirement of proficiency in camping and completing work that added, “permanent value to the camp.” In practice, very few of these emblems were awarded, and mostly to members of the camp staff. Other Scouts received recognitions to be worn on their belt, a bar for each year as a camper, and a star for each addition week attended.